What a day! Our camera broke so I can’t take any new photos and the damn ATM shorted me $40 so now they tell me we have to file a regulation E dispute for their incompetence! Ugh!! The good news is, I found some older photos the Plant Man took a few months ago while putting together glass orbs/mini terrariums with air plants for a small wedding. Dust them with a clean, dry towel. For more stubborn dirt, use dish soap and water and be gentle! Rinse thoroughly and dry with a clean towel or let them air dry and polish them up later if you have spots. We would not recommend window or glass cleaner because it leaves a residue on the glass. 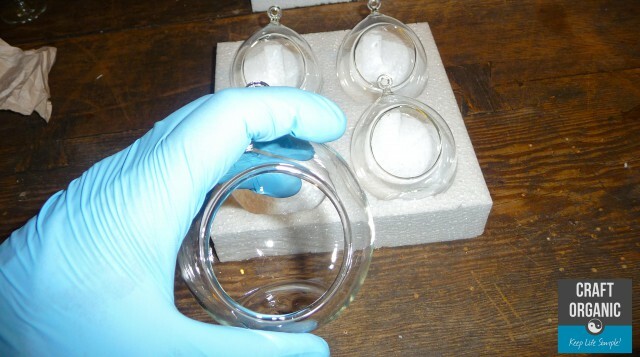 Have you ever done that to glass in a picture frame only to see your photo be chemically altered later on? 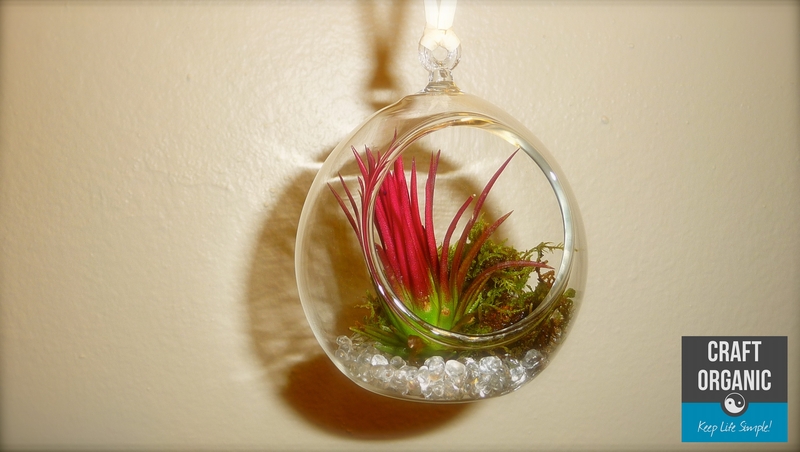 Yup, it was the glass cleaner and it’s preferred you keep your air plant away from it. 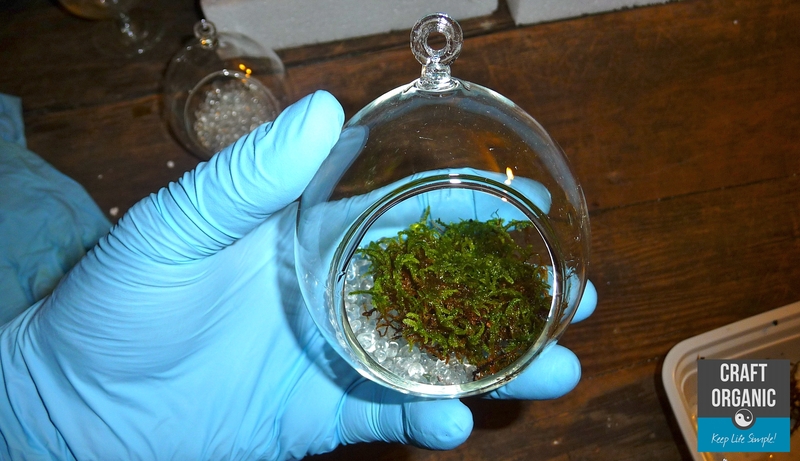 Use latex gloves so you will be able to handle the mini terrariums without getting your greasy paws all over the freshly cleaned glass. You can get large size tweezers that come in handy for moving things around inside the mini terrarium. The opening is usually too small to do an adequate job with your fingers, unless you’re freakishly tiny. It’s easier to remove the air plant from the mini terrarium when it’s time for watering.. This way you will reduce the chance of accumulating mineral deposits from the water. You also won’t have puddles accumulating in the mini terrarium. It’s also a great idea to use clean rainwater. Rainwater is great for any plant and also reduces mineral deposits on the glass. We used clear glass beads and a little moss inside each mini terrarium and of course, an air plat. We like the contrast of the clean glass and natural materials. We feel colored glass would have taken away from the color of the air plant, but what you put inside is up to you if anything at all.